This table does not refer to the more recent Northern Ireland Under-23 side that took part in the International Challenge Trophy. Players in BOLD also won 'Full' Caps. Most Capped Players: 4 Fred Clarke (1962-1965), Terry Neill (1962-1965), Jimmy Nicholson (1962-1965), Sammy Todd (1965-1969). 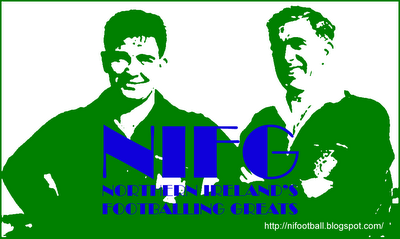 Most Goals: 3 Willie Irvine (1963-1965). 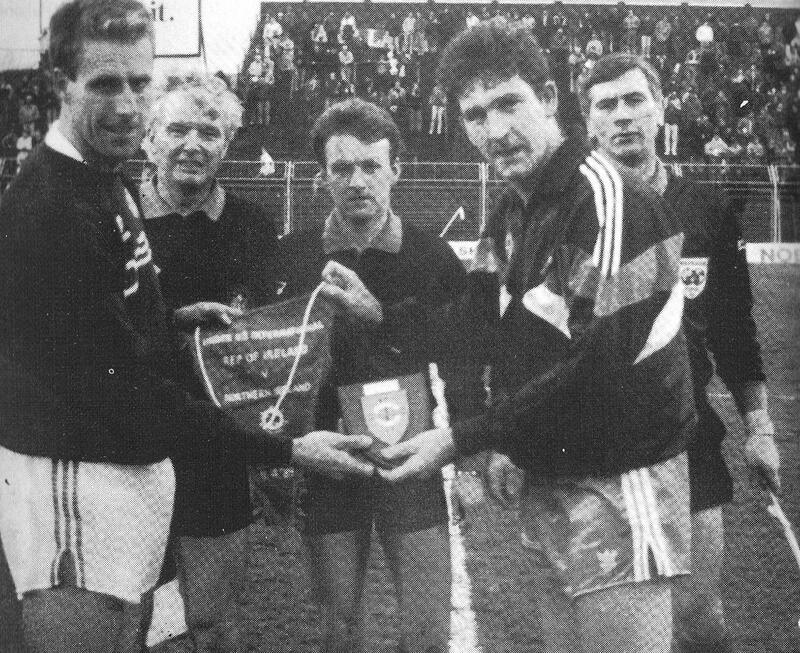 Captains Mick McCarthy (Celtic) and Norman Whiteside (Manchester United) exchange souvenirs prior to the 1989 Under-23 international meeting between the Republic of Ireland and Northern Ireland at Dalymount Park, Dublin.